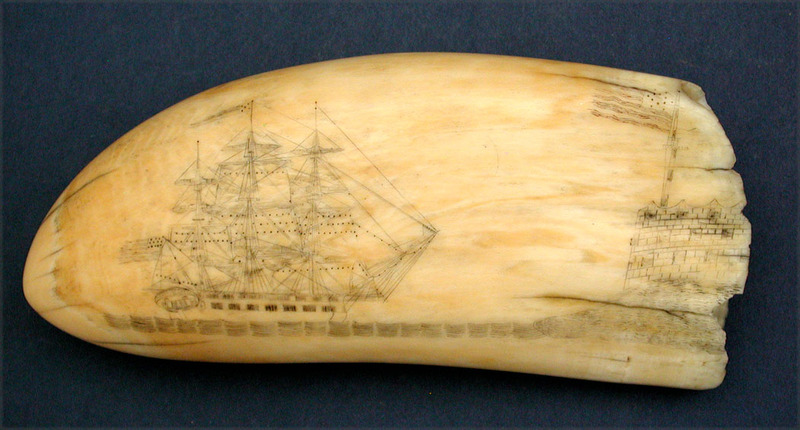 19TH CENTURY SCRIMSHAW TOOTH engraved on both sides. 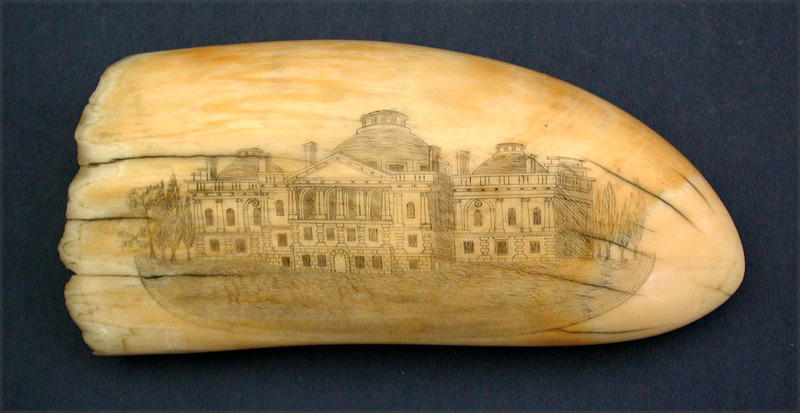 One side depicts the starboard view of American ship sailing past a fort that flies a large American flag. The reverse with an important looking, government style, building that has three large domes. Condition very good. Lovely age yellow throughout. 6" l. x 2 3/4" w. Circa 1830-40. We are always interested in purchasing nautical antiques. If you are selling one piece or your entire collection we would appreciate hearing from you. OUR NEWEST CATALOG, #39, NOW AVAILABLE........PLEASE CLICK ABOVE TO VIEW. © 2019 John F. Rinaldi. All rights reserved.